Nothing in the House: Tarts by Tarts at the DC Square Dance! Tarts by Tarts at the DC Square Dance! How 'bout a little pie to go with that swing? Tarts by Tarts joins in with the biggest party in town--the DC Square Dance--this Saturday evening at St. Stephen's Church (1525 Newton St. NW) in Mt. Pleasant, D.C. The dance kicks off at 8:30pm with the legendary Ithaca, NY band The Horseflies, and New Hampshire caller Nils Fredland. 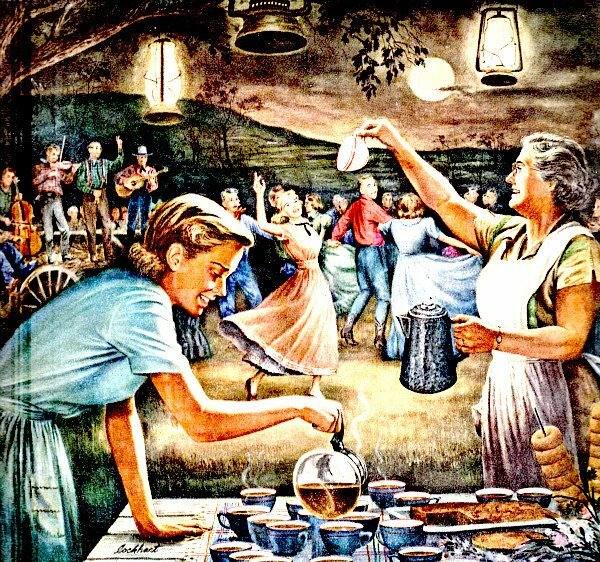 We'll be in the back, dishin' up Southern-inspired treats (fried pies, pecan-bourbon pie, and doughnuts are certainly on the menu) until the dance ends at 11:30pm. Hope to see y'all there...save room for somethin' sweet for you, and save a dance for us! See the Tarts by Tarts and DC Square Dance collective Facebook invites for more information. Yeehaw! Labels: Fried pie, music, Tarts by Tarts, Washington D.C.